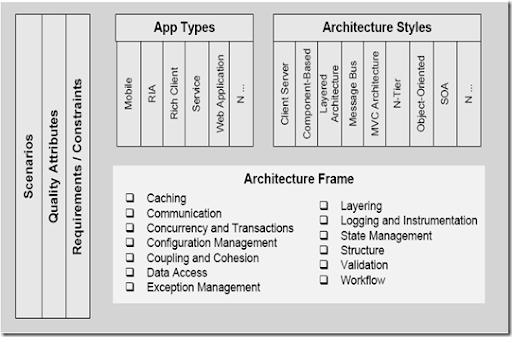 • To help you design more effective architectures on the .NET platform. • To help you make more effective choices for key engineering decisions. • To help you map appropriate strategies and patterns. • To help you map relevant patterns & practices solution assets. 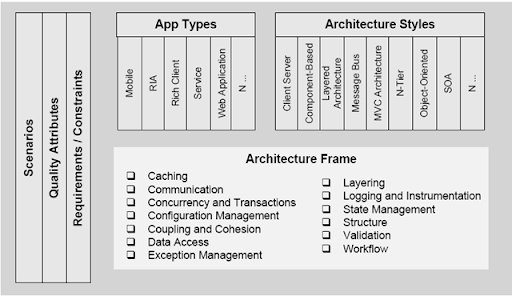 This guide is useful to anyone that cares about application design and architecture. The primary audience for this guide is solution architects and development leads but any technologist who wants to understand good application design on the .NET platform can get value by reading it. 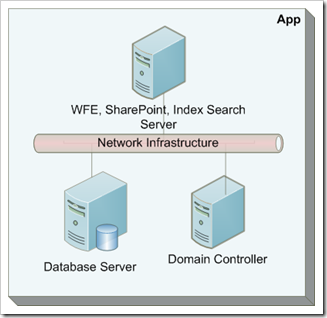 This article focus on three SharePoint functionality. 1.) How to use Calculated value column. 2.) How to format text using LOWER() and PROPER () functions. 3.) How to Merge two column value. Let's begin, We seen from our past experience that, Individual users use to enter data their own style or non-standard format. Since this is part of end users habit, its very difficult to train everyone in the organization. Given below example shows how end user's entered SharePoint contact list information. Above scree shots show that the data entered inconsistence way and display in same manner. Since this known problem in the industry we need to manage these issue. 2) Merge First and Last name and Display as Full Name. 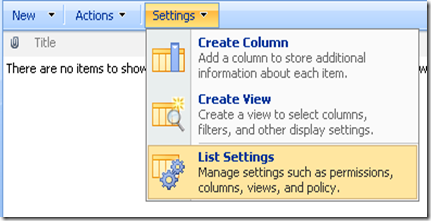 SharePoint : Go to Contact List and Click Settings and then Click List Settings. 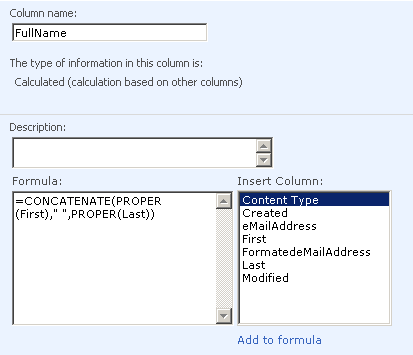 Create new column called "FormatedeMailAddress" and click "Calculated" On Formula text box type following formula. Save and Go back to Contact List view you can see the email address display on Lower case format. Let us look how to merge two column value "First and Last" as "Full Name" and format text in to proper case. SharePoint : Go to Contact List and Click Settings and then Click List Settings. 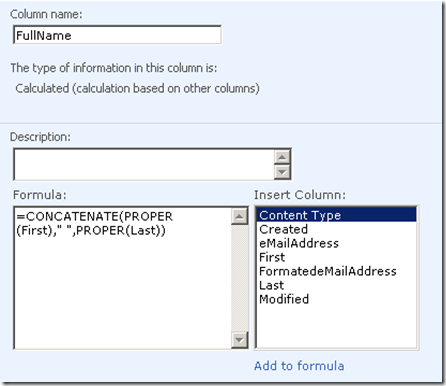 Create new column called "Full Name" and click "Calculated" On Formula text box type following formula. CONCATENATE () - Joins several text strings into one text string. PROPER() - Capitalizes the first letter in a text string and any other letters in text that follow any character other than a letter. Converts all other letters to lowercase letters. Given below SharePoint discussion forum for various SharePoint related topics this may help SharePoint professional to query or find answer to the issue they face. Discussion about site design (i.e. definitions, templates) and page customization (i.e. layouts) as well as SharePoint Designer and similar tools. Discussion about development and programming (i.e. web parts, features, etc. ), SDKs, and tools (i.e. Visual Studio). Discussion about document management, records management, and web content management capabilities in SharePoint products and technologies. Discussion about Excel Services capabilities in Office SharePoint Server. 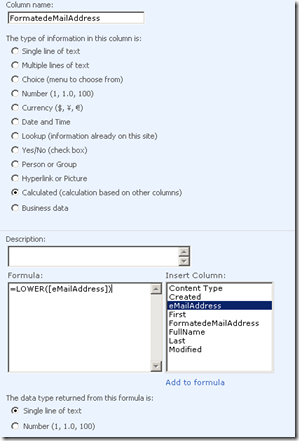 Discussion about InfoPath Forms Services capabilities in Office SharePoint Server. Discussion about workflow capabilities in SharePoint products and technologies. Discussion about improving accessibility and usability for the physically challenged. Discussion about the Business Data Catalog capabilities in Office SharePoint Server. Discussion about implementing SharePoint for business intelligence oriented solutions. 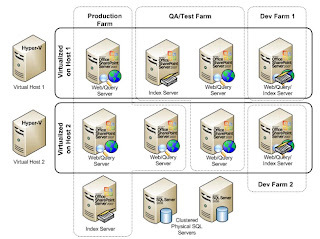 The Development environment setup using virtualization technology that there will neither be load balanced or clustered at all; they are visualizing on a physical hardware using Microsoft Virtual Server 2005 R2 or Hyper - V virtualization technologies will be housed in a single physical server. SharePoint Web Server running on Microsoft Windows Server 2003 R2 64bit edition in standalone sever. 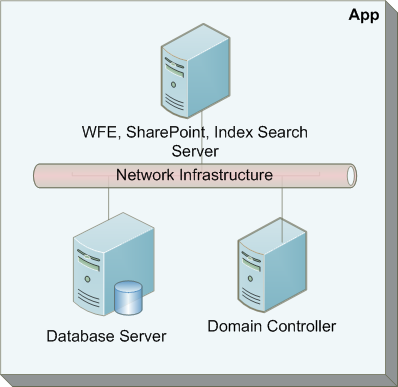 SharePoint web server consists of MOSS 2007, WSS 3.0 and enables Index & Search services. Setup new domain controller for development environment which help you separate from production and UAT environment. This domain mainly server as authorization and authentication service provider for Office SharePoint users. Database server running on Microsoft Windows Server 2003 R2 64bit with Installation SQL server 2005 standard edition in standalone sever. All office server application run in a single database instance. Provide authorization and authentication service to Office SharePoint users. Setup Active Directly and DCHP Services to act as domain controller. The K2 blackpearl 101 program is an instructor-led, three-day course that is designed to provide participants with extensive hands-on product practice via lab exercises. K2 blackpearl 101 has 26 modules (listed below) that are intended to introduce the basic concepts, features and functions of K2 blackpearl to a business-knowledgeable technical audience. This fundamentals course is a prerequisite for all additional training. You can also code Silverlight with the free Visual Web Developer Express, which is absolutely free you don't need to pay for a working development environment to try out Silverlight. The best way to learn Silverlight 2 is to visit the www.silverlight.net web-site. You can find free online tutorials, videos and training available there. The site also hosts an online forum system where MVPs and Microsoft Silverlight team members will be able to help answer technical questions. Also make sure to subscribe to the Silverlight Community RSS Feed, Jesse Liberty's Blog, and Tim Heuer's Blog for a daily dose of great Silverlight content. Sharepointmagazine.net websites provide a list series article which provide nice overview of the default SharePoint interface from a technical point of view. This article cover wide variety of customization options to learn better you should basically very familiar with ASP.Net, SharePoint and CAML. I would strongly encourage registration for this TechFEST 2008 on 23rd and 24th Oct. 2008 (Technical sharing session). Pls forward this to any of your respective colleagues whom you think should go or would be interested to attend. Those who is keen to understand and know more about Microsoft virtualisation technology, Visual Studio 2008, .NET 3.5, Silverlight 2, WPF, SharePoint, IE8, LINQ, PowerShell, should attend this session. 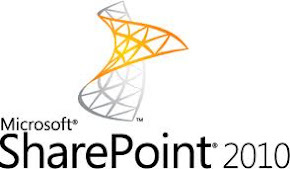 Microsoft Office SharePoint Products and Technologies are a set of tools that provide for robust collaboration, document management, Web content management, and enterprise search. SharePoint tools allow organizations to easily share knowledge and valuable content on an extensible, scalable enterprise platform. The latest release of SharePoint Products and Technologies includes WSS 3.0, freely available with a license of Windows Server, and MOSS 2007, a full function Enterprise Content Management and Collaboration tool. Both WSS 3.0 and MOSS 2007 are installed on one or many Windows servers, depending on the scope and scale of the deployment. Virtualization of these servers may often be ideal, depending on the specific scenario. Today Virtualization allows organizations to reduce overall physical SharePoint server count. According to article Virtualization Efficiencies by some estimates, up to 70 percent of processor and memory deployed on physical hardware goes unutilized. Virtualization allows for a much larger percentage of available resources to be more effectively utilized.